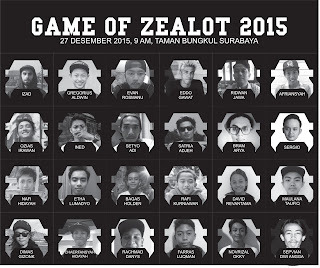 Here is the line up Game Of Zealot 2015, will be held on 27 December 2015, 9 am, Taman Bungkul Surabaya. 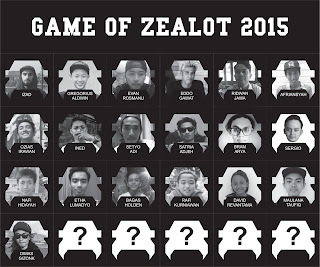 Still waiting 5 person for wild cards. 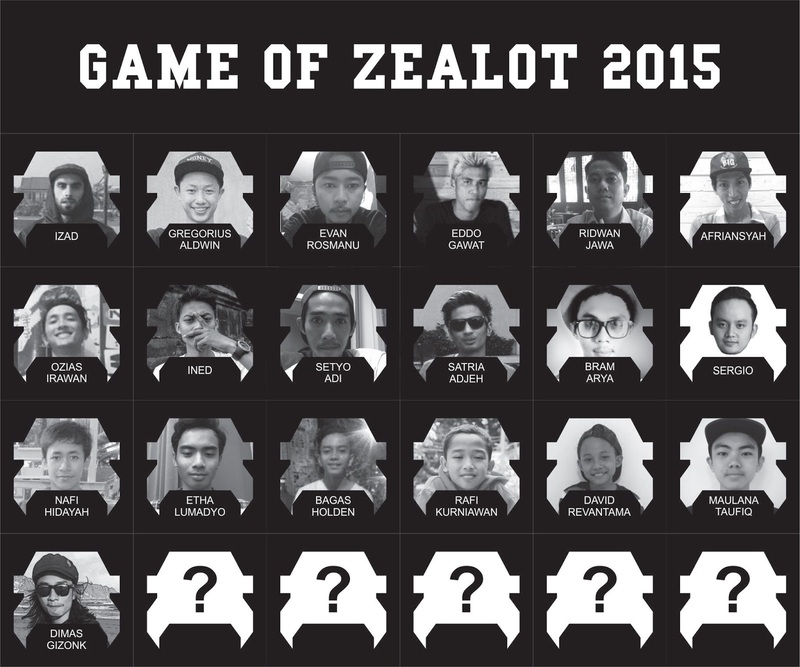 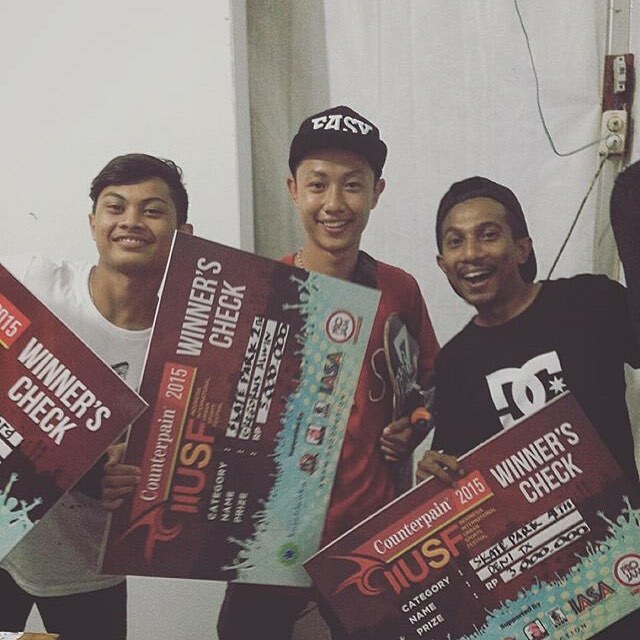 Send your profile or video to zealotskateboards@yahoo.com valid until tomorrow 12 pm.